with help of Amtrak northbound to LA! Just as crazed Christmas shoppers at REI had driven me mad, I was able to spontaneously escape LA last weekend. Phew! A facebook post informed friends I was taking off, and excitingly even my Burbank TDM engineer friend, Donald, decided to join (engineers sometimes have fun? what) We split up the 150ish miles between two days; 76 miles to Mission Viejo and then 81 miles to San Diego. 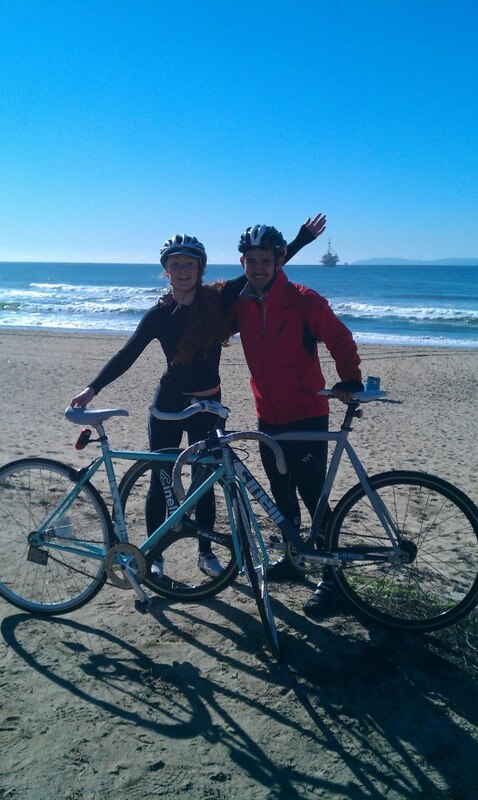 My favorite vegan single speed cyclecrosser, Matt Rusigno, hosted us in SD. Thank you! Here’s a few pictures from the trip.